Barn Door, originally uploaded by jahansell. This is the doorway to the gigantic barn on Silver Mountain Road in Millerton. Those double doors slide open and are large enough for a huge tractor to drive through. click through to the portal to travel through doorways to the world! 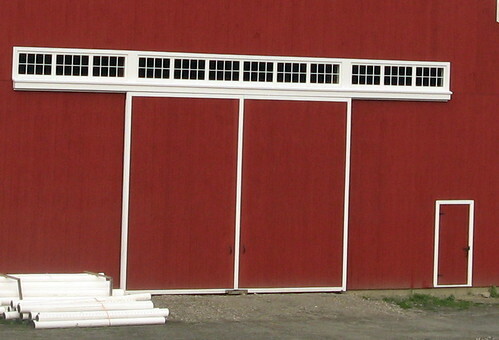 If not having the small door at the right, I would not know how large is this Barn Door. Very nice. The stark color, white trim and white pipes really make this shot pop. Perfect theme post! !